There was a time when the best website design was the one packed up with some cool new features, a weird navigation and anything else that the designer thought looked good. We trusted the designer’s taste and opinion often even more than our logic. Sometimes it worked out amazing, but sometimes usability suffered. Thankfully things have significantly changed in favor of the user. Today users stand in the center of any design project. We build products based on what we know about the users even when it contradicts our own opinions and surprisingly we now fail less. How is that possible? With the help of user research methods, such as user stories and scenarios. In order to understand how these two UX research methods can actually help us create beautiful interfaces, let’s go through the three main points. what are user stories and scenarios? what is the role of user stories and scenarios in UX design? So let’s start with user stories. There is a Native American proverb that says “It takes a thousand voices to tell a single story” and that’s exactly how we write a user story. We take the voices of many (if not thousands of) users, uncover their core need and turn it into a story. Now, a user story is a brief description of the user and her core need. Notice that the story is told from a user’s perspective and in her own words. That’s an important point, because user stories reflect user’s problem the way she sees it. Very often a user story is included in a user persona profile as a quote. But personas are more general so there might be multiple stories for a single user profile. – they are short, but descriptive. User stories do not capture every detail about the user, her background, her ideas and motivations. Instead, they give an immediate understanding of what we are trying to accomplish with our product. – user stories define the user type. For instance in the sample user story mentioned above, we can clearly identify the user as a “frequent movie goer”. Note that we do not dive deeper into her personality, but just focus on the character traits relating to our product usage. – user stories outline the main need or problem that our product should solve. In our example, it is defined as “have all the information… in my smartphone”. 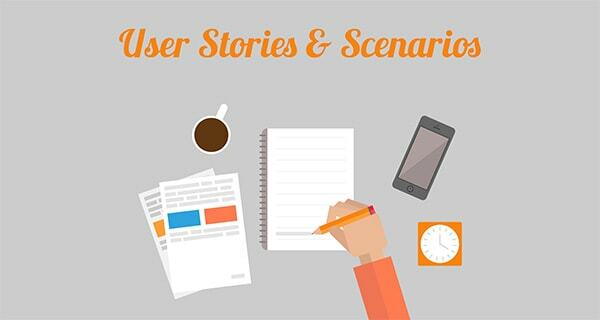 User scenario is a detailed description of what users do with the product and more importantly why they do it. It is longer and more informative than a user story, but still you have to keep it to the point and include only information that is highly relevant to the user’s experience with the product. User scenarios outline the motivation and the main goal of the user for visiting your website or using your product. A perfect user scenario comes in a way of a short story that clearly defines the context in which the product is used. It gives answers to such important questions as: Who is the user of our product? What does this user want to accomplish with our product? How is this user going to achieve her goals? Why does this user choose our product over other available options? It is best to keep the user scenarios as close to reality as possible, using the expressions and wording a typical user would speak. This way you can adjust your CTAs and other microcopy accordingly. Obviously there are a number of differences between user stories and scenarios, but they both are used in UX design. A user story is more concise and works like a shortcut to the more detailed and extended user scenario. How do user stories and scenarios benefit UX design? The main benefit of creating user stories and scenarios is to keep the user always in the center of design and development process, because it is easy to get carried away with different features and functionality that doesn’t directly contribute to the user’s goal. These two tools help both designers and developers see the full picture, which makes it so much easier to understand and implement all technical requirements. Since user stories clearly describe what a typical user wants to achieve and what kind of expectation she has from the product, a UX designer can therefore give more accurate estimations on the project scale and difficulty, as well as time required to perform various tasks. 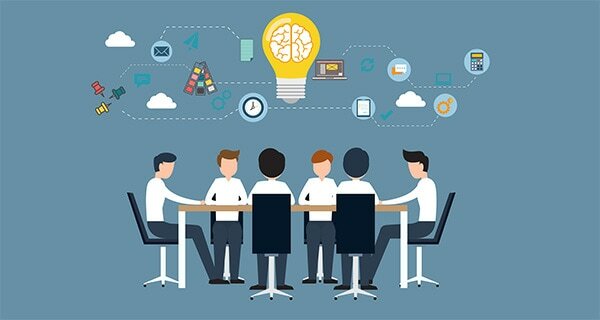 On the other hand, user scenarios contain every kind of details about user’s interaction with the product and are thus quite useful in requirements discovery. A good user scenario outlines the path that a typical user will go through and all of the system tools (aka features) necessary to complete her goal. Additionally, it gives more insights on what will thrill the user thus shifting the focus from the technical requirements of a task to eliciting emotions with a design. User scenarios also serve as a basis for experience mapping. In fact sometimes, a scenario is represented in a form of a storyboard or a map itself. This is a more interactive way of presenting the user journey. Since visual storytelling takes over everything nowadays, as UX designers we need to have well-grounded scenarios to support these journey maps. In conclusion, having plenty of data about the typical end user is always good, especially when you can turn all that information into something meaningful and useful for the UX design process. User stories and scenarios act as very powerful UX research tools that not only enhance the design process but also help the development team to better understand why they are coding this or that feature. A well-crafted user story is the skeleton of any UX design project, while scenarios are the muscles. Together they help create a strong product that successfully solves the user’s problem and evokes a feeling of satisfaction.